Contact Us: Location maps, email, phone and address information. Only a short walk from Melbourne's city centre, the University of Melbourne welcomes visitors and invites you to explore our unique cultural, architectural and landscape features and facilities. International diallers please note you will need to add your international call prefix before this number (for example 011 from the USA). Contact us directly or find answers to your questions by searching our FAQs on ask.unimelb, or visit one of the links below. Find a staff member on our staff directory. Download detailed PDF campus maps showing buildings, parking and amenities. Below is a list of some of the facilities offered by the University to our staff, students and community. If you are using a GPS to visit us, enter one of the following street addresses. 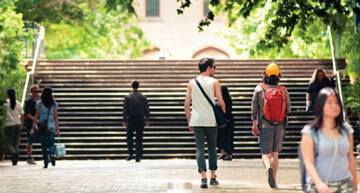 Explore the University of Melbourne on a free guided tour of our Parkville campus. Or discover the campus on your own through a self-guided tour. View online maps, and get directions around campus. If you are using a GPS to visit us, enter one of the following street adresses.